You may have noticed that even under the almighty System Administrator Security Role, you can’t view (nor edit, share, assign or delete) other users Personal Views. Well, that’s what personal means. Via the application UI, only the view owner can manage it. In this post, I’ll demonstrate a utility which allows you manage other users Personal Views, as long as you have the right privilege. Note that this utility was developed and exported from Microsoft Dynamics CRM Online Organization (v2016) but it should work perfectly in an on-premise v2016 deployment. If you are using an earlier version (2015 and below), this solution is not for you, as it uses v2016 new API. There are similar solutions available for earlier versions. Curious about the implementation details? read on. 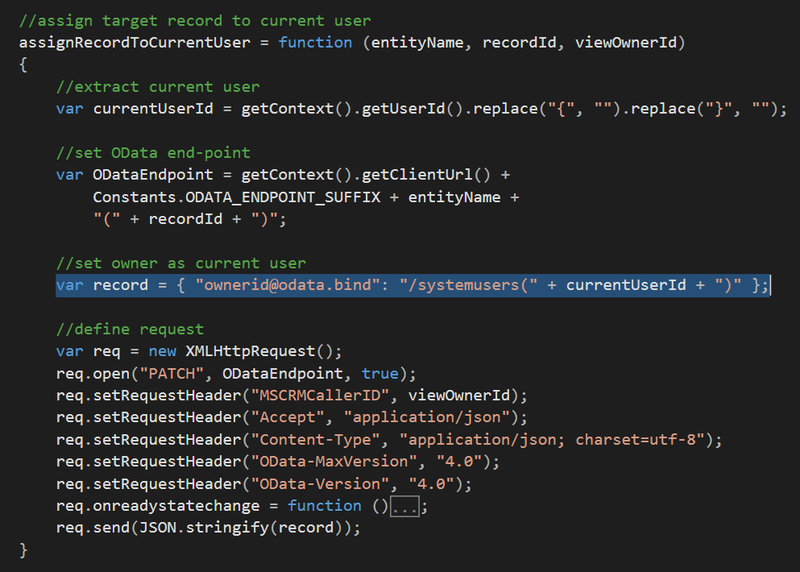 Some good news though: in order to Assign a record using Web API, you only have to update the onwerid attribute. 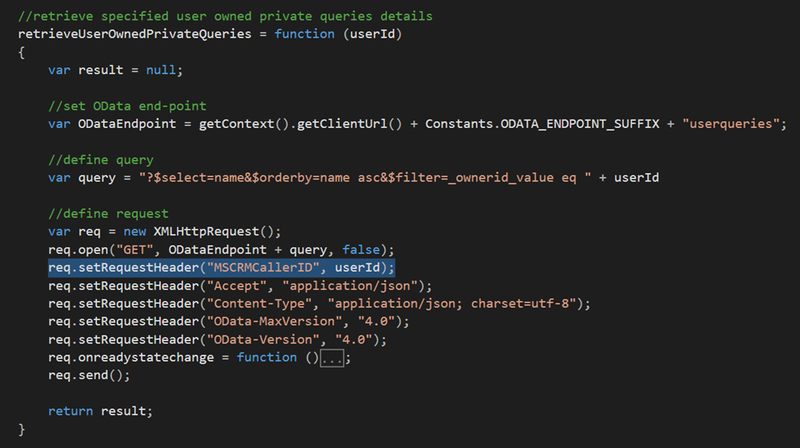 Sound so trivial…why did we ever need AssignRequest? Hi, we are 2016 on-prem. I tried to enter in credentials for a user who has the system admin security role. I verified credentials are correct. It does not like the credentials and keeps prompting me. Have you heard of this issue? How can I work around? What prompt do you get and when? Accessing the tool page? Executing specific operation? I enter credentials and click “ok” in the configuration tab of the managed solution. Then the window to enter my credentials pop-up again. I try again and again – still same result. Trying to access the list of users in our system to remove/unshare personal views and dashboards. I am guessing the problem is related to the the MSCRM web site authentication. Web resources in general (and this specific tool) running in the context of MSCRM application do not require additional authentication. 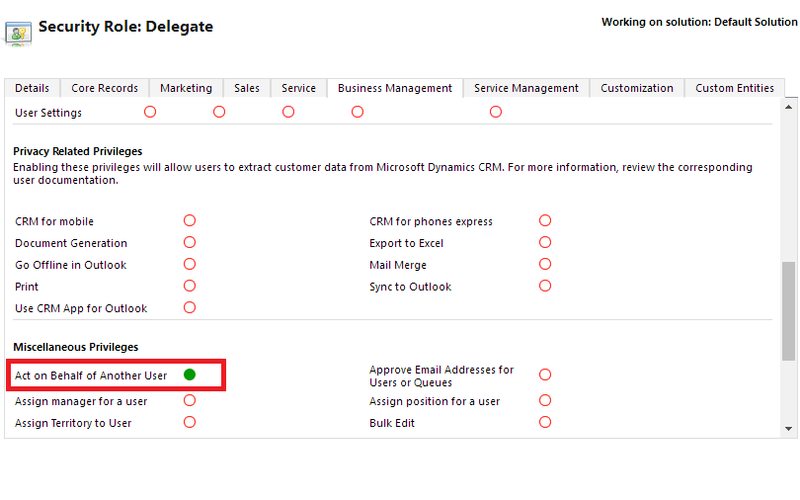 It sounds strange that you have to feed in your credentials when accessing MSCRM on-premise (usually single sign-on). Are your domain credentials different than MSCRM credentials? Just to be on the safe side, make sure your machine clock is in-sync with the MSCRM server clock. HI, do you resolve this issue? I downloaded and installed your Personal Views Manager Utility soluiton on our on-premise 2916 (actually it is Dynamcis 365). When I, as a System Administrator, open th esoluiton and go to configuration, I just see both sections “Select System User” and “Select Personal Views” as greyed out dropdowns. Any idea what is wrong/missing? Both fiels say “no results to display” – bit it’s greyed out, inactive, though. I am having the same exact issue. User list will not load…?? ?